Canada’s plan to apply a scaled tax to new cannabis products based on THC content could end up costing some patients more money and take a toll on the competitiveness of businesses, experts say. The proposed tax of 1 Canadian cent per milligram of total THC will apply to cannabis edibles, extracts and topicals when they’re allowed to enter the legal markets in late 2019. The proposed tax is part of the federal government’s budget presented to the House of Commons this week. When the tax kicks in May 1, it will apply only to cannabis oil products. There will be no change to the excise tax for dried cannabis or seeds and seedlings. The cost of cannabis edibles, extracts and topicals – for both adult use and medical – will generally rise with THC content. “Certain low-THC products – such as cannabis oils – will also generally be subject to lower excise duties than before, providing further tax relief for cannabis products typically used by individuals for medical purposes,” the budget states. However, Deepak Anand, board member for Canadians for Fair Access to Medical Marijuana (CFAMM), said higher-THC products will end up costing medical patients more money. “There are people using high-THC to treat certain conditions, and they need it to manage their conditions. This is going to raise their taxes,” he said. “… I’m fine with taxing higher-THC adult-use products, but on the medical side, I think it’s unfair to be taxing people for this product, given that we don’t tax opioids, which cause deaths. Under the new system, patients in some provinces would end up paying more tax, and patients in others would pay less. The industry had been lobbying the federal government to eliminate the excise tax on medical cannabis altogether. 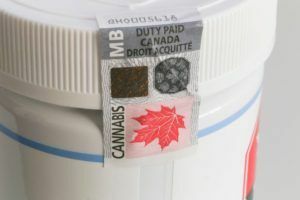 Terry Lake, vice president of Quebec-based licensed company Hexo and former British Columbia health minister, tweeted that the tax will lump more costs onto the bills of some patients who need higher-THC products. “I strongly believe the medical and rec stream should be treated separately from a tax-policy perspective,” he told Marijuana Business Daily. Cannabis remains the only class of medical product that has an excise tax, representing a barrier to access for many patients, said Omar Khan, vice president of public affairs at Hill+Knowlton Strategies, a Toronto-based consultancy. “This approach to taxing the THC amount fails to recognize that there is a legitimate need for THC when it comes to cannabis use for medical purposes,” he said. The budget also purports to introduce a tax credit for medical cannabis, however CFAMM pointed out that patients have long been able to claim medical cannabis on their taxes. “In addition, patients who are on (the Ontario Disability Support Program) or any other government assistance programs with limited income may not be eligible for tax returns, making such credits meaningless to them,” CFAMM spokesman Max Monahan-Ellison said. The medical tax also hits the bottom line of some cannabis companies that opt to cover the levy for their patients. In a regulatory filing, Aurora Cannabis said its gross margin on marijuana net revenue declined to 54% in the current quarter from 70% in the previous one. Canopy Growth also cited the absorption of medical excise taxes as a reason for lower gross margin, as it reported absorbing medical excise taxes of about CA$2 million in the quarter. This is another great article, Matt, and informs me of some facts of which I was not aware. All taxes should be removed from medical cannabis in Canada. We want to promote the use of cannabis for medical purposes over other prescription drugs. On top of the dollar a gram excise tax, we will now have a THC tax! A penny a gram does not seem like much but let’s figure that out. 30 grams of 20% THC contains 6 grams of THC. This is equal to 6000 mg. This is equal to $60 in new taxes on 30 grams of cannabis. Whoa, I don’t even pay $60 for 30 grams of self-produced cannabis; it’s more like 50 cents per gram or $15 for that 30 grams. Total. There is only one way to eliminate the black market and that is to price it out of existence. Adding $30 to $60 to the price of an ounce is not the way to do this. I realize this tax will currently only apply to oil but it’s a slippery slope with taxes. It is time for every cannabis consumer to protest. And the best way to protest these taxes is to start producing your own cannabis. I strongly support legalization, however, it looks like time for my old advice. Overgrow!